Wattpad, the Toronto-based startup that runs a social network for aspiring writers, has been described by one of its investors as “the YouTube of writing,” because of the way it allows amateur creators to share their work with the world. Now the company has launched a crowdfunding feature similar to Kickstarter called “Fan Funding” that makes it easy for members to tap their fan base as a way of monetizing their work — and could also help the network monetize its own user base as well, since it charges a fee for the process. Allen Lau, founder and CEO of Wattpad, said in an interview prior to the launch that the new feature is similar to existing crowdfunding platforms like Kickstarter or Indiegogo, with landing pages where aspiring authors can post videos or information about their work, and a tiered system of rewards — including things like having a character in a book named after them — for fans who donate different amounts. 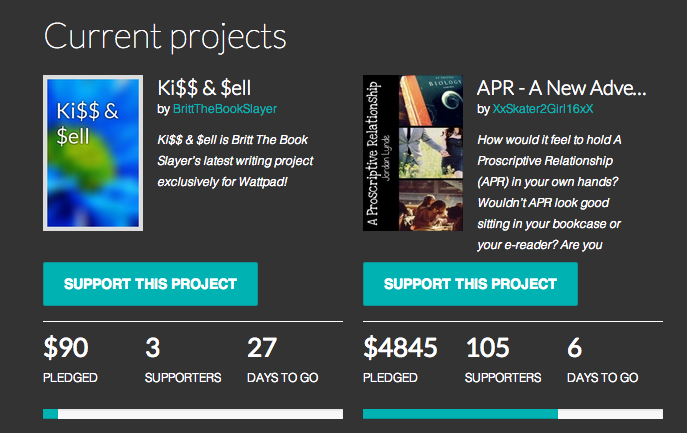 One Wattpad member had already reached her goal of $5,000 before the program even officially launched. Some Wattpad members have tens of thousands of followers of their work already, and this provides a built-in support base, Lau said. All the new fan-funding feature does is make it easier for those members to tap into that relationship they already have with fans of their writing. One of the benefits of the feature, Lau said, is that it allows writers to find new ways of monetizing their content rather than just going through the usual channels of publishing a book. Authors can raise funds before they write something, or while they are writing it, instead of just charging readers for the content once they have already finished and printed it — and that gives them a lot more flexibility than the traditional publishing industry. Wattpad has raised $21 million in funding in two rounds, the latest of which was a Series B round of $17.3 million led by Khosla Ventures. 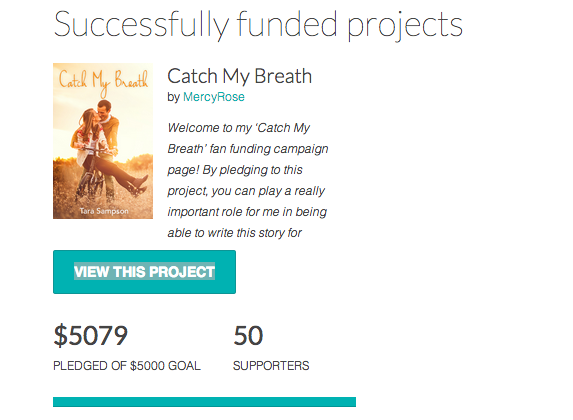 Do “fan”-funders then become part owners of the book. Interesting if J. K. Rowling had fundes her works-in-progress this way. It’s definitely an innovative way to monetize the network effect of engaged users, by monetizing the mini-networks of fans each author has beneath the mother-network. It’s a good test to see if fans monetize by turning their “intent to read” into an “intent to pay”.